Shouldering a hefty amount of expectation on its broad, metallic shoulders, Titanfalldeployed from orbit onto PC and Xbox platforms in 2014 without a single-player campaign. In its place, developer Respawn adopted a design approach that allowed the narrative and multiplayer component to run in parallel which proved to be unique, yes, but largely underwhelming. Whether Titanfall required a plot to begin with is something we’ll leave to you, but it’s fair to say that the implementation of said story resulted in a confusing mess of rogue agents, galactic warfare and a familiar world of guerrilla fighters and power-mongering conglomerates. That’s not to say that the narrative underpinning Titanfallwas ostensibly bad, but when the entirety of the story is relayed through radio clips and/or relegated to a small corner of your HUD, there’s only so much empathy you can evoke. A cornerstone of that crack team is Jesse Stern, whose past credits include TV seriesNCIS and most enticing of all, Call of Duty 4: Modern Warfare and Modern Warfare 2. Stern may have been a part of the original team that helped nurture Titanfall into a bona fide success, but in preparation for its multi-platform sequel, the scribe has placed his proverbial crosshairs on a world that is grounded, dirty and ultimately, human. We're Excited for Titanfall 2, Are You? In anticipation of Titanfall 2, we recount what makes Respawn's shooter so good to begin with. Held up as a revolutionary addition to the FPS genre, it’s fair to say that Titanfallrisked being consumed by its own hype prior to release. It was considered to be Microsoft’s killer app — the one title that would fire the Xbox One off shelves and into the living room — along with the next step in competitive multiplayer. 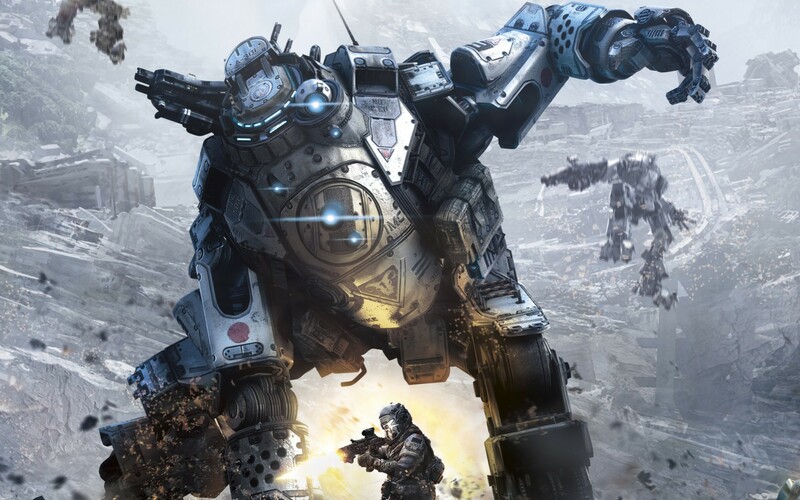 Even for a shooter that features hulking, futuristic mechs, the strain of expectation began to show like rust creeping over Titanfall’s steely exterior. 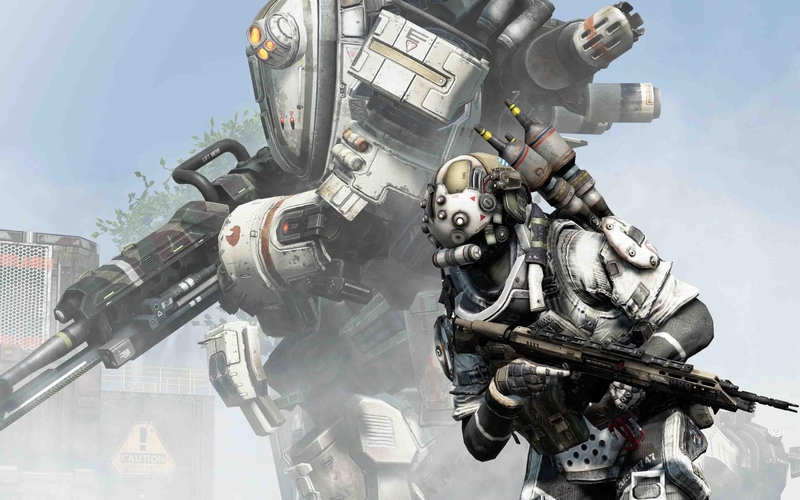 We can’t recount the highlights of Titanfall without addressing the elephant in the room. Yes, wall-running as a pilot is enough to get the blood pumping and pupils dilated, but Respawn added a whole new layer of intrigue to its multiplayer shooter via mechs. Hammond’s deadly machines come in three variations: Atlas, the entry point to your towering arsenal, along with the Ogre and Stryder. And those bipedal weapons of war would be enough to keep Solid Snake awake at night. 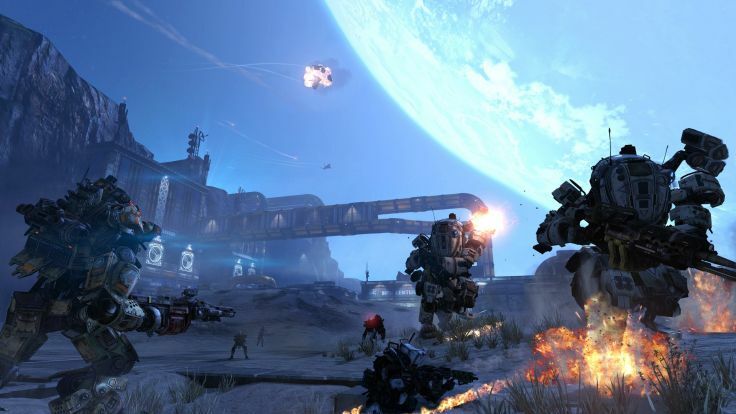 Controlling a titan may not be as intuitive as playing the boots on the ground, but by allowing players to switch their hulking companion to AI mode while running and gunning around the map, it allows for a more flexible playstyle, rather than the giant mechs being viewed as just another killstreak. Remember the overwhelming hype that threatened to engulf Titanfall before release? Part and parcel of that hyperbole stemmed from the shooter's blistering sense of pace.Call of Duty may have instated 60fps as the multiplayer standard, but Respawn's debut took that one step further with its liberating wall-running system. Granted, two years after release, said mechanics aren't as impressive, particularly now that they've been normalized via Advanced Warfare and last year’s Black Ops 3. Even still, the underlying gameplay systems gripped you and refused to let go, so imagine the ways in which Respawn will iterate on that design philosophy within a game built from the ground up for PS4 and Xbox One. Take a glance at the archives of science fiction — be it film, gaming or literature — and you’ll find that most stories rooted in a far-flung version of space colonisation involve a power-mongering conglomerate and a ragtag group of freedom fights. FromStar Wars to Firefly, it’s interstellar ground that has been well-trodden, but Titanfall’s shoestring story still hues close to those tropes. Igniting an intense war between the Interstellar Manufacturing Corporation and the Militia, Respawn took the decision to layer the narrative over the multiplayer experience, meaning players were exposed to brief snippets of exposition during matches or even loading screens. Sharing more similarity with Turtle Rock’s Evolvethan Star Wars Battlefront, it wasn’t the most effective means of world-building, and for a premiere episode of what is surely EA’s budding new franchise, Titanfall’s story was relegated to the sidelines. But as our story recap proves, there’s plenty of potential bubbling beneath the surface — Titanfall’s story just needs the necessary screen time. 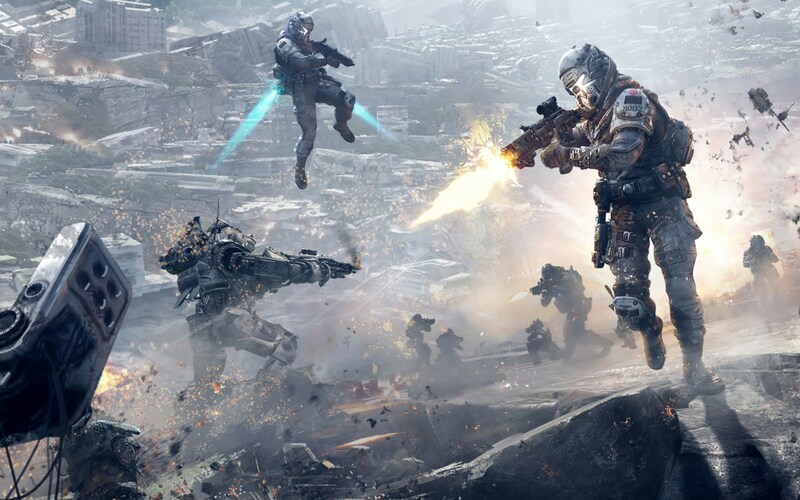 Plus, having recruited Jesse Stern (NCIS, Call of Duty 4: Modern Warfare), we have every faith that Respawn will take full advantage of Titanfall 2’s new campaign. 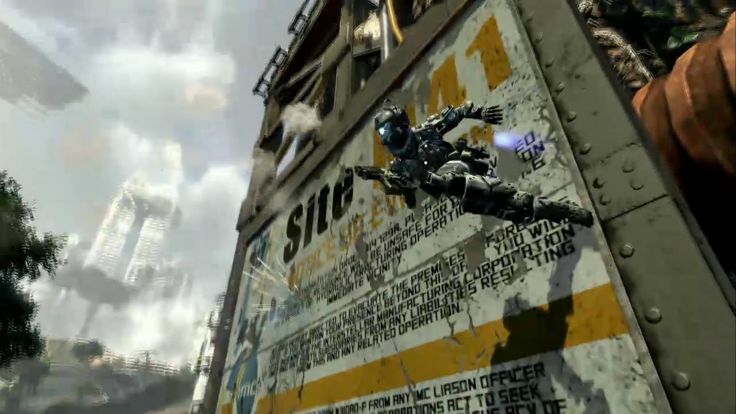 First hatched by ex-Infinity Ward devs Jason West and Vince Zampella in 2010, Respawn Entertainment boasts considerable heritage in the shooter genre. This bleeds into the Titanfall experience itself, and picking up the controller to hop into a round of mech-on-mech combat feels intuitive. Slick controls and excellent first-person platforming are just some of the shooter’s high points, and considering that blistering multiplayer is Titanfall’s bread and butter, the resulting final product is a competent shooter experience. It's by no means perfect, but as far as franchise-starters go, Titanfall has laid out a great platform for the oncoming sequel. 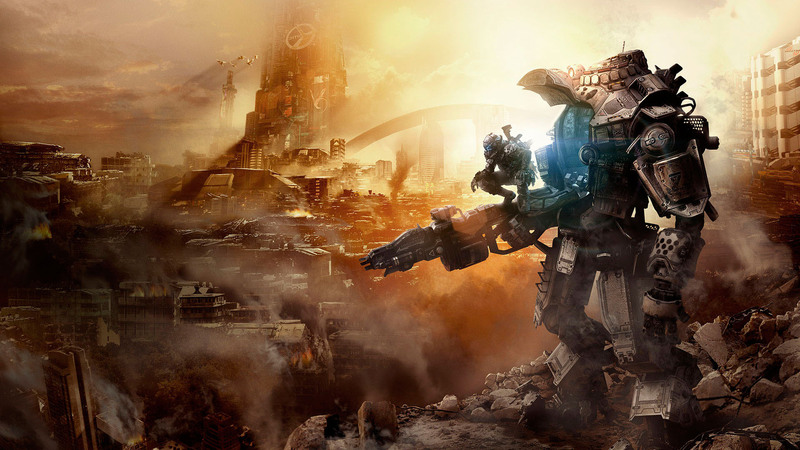 Alas, it was one of the many titles caught between the recent console transition.Titanfall may play like a dream at times, and the free-flowing movement system is enough to give even Mirror’s Edge a, ahem, run for its money, but two years after release and Respawn’s mech-shooter is already beginning to show its age — like a coating of rust creeping over the game’s steely exterior. Speaking of which, Titanfall 2 has its crosshairs locked on a late 2016/early 2017 release — all we know for sure is that EA will launch Mass Effect: Andromeda,Titanfall 2 and a new Battlefield before March 2017. Nevertheless, come June 12(1:00pm PT/4:00pm ET), we’ll get our first peek at actual gameplay, giving us a better indication of how Respawn’s sequel is shaping up and, crucially, that single-player campaign.